Ohio Vending Machines offers a wide variety of tournaments and promotions for your entertainment! Offer your customers the opportunity to redeem their skill game points for valueable prizes. Learn more at YouRedeem.com! Many skill levels and locations to choose from. Visit our exclusive league website! Ohio Vending Machines has a huge selection of new inventory so you can furnish your rec room with the latest and greatest games and machines! 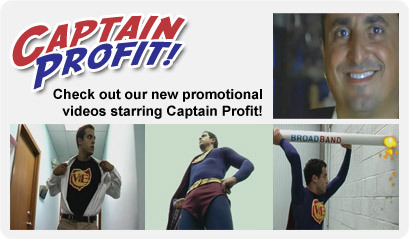 Ohio Vending Machines is proud to present our newest video productions! We've created three unique information videos that will help you understand why OVM is the best source for your vending needs! Ohio Vending Machines provides commercial vending services to bars, restaurants and other establishments throughout Northern Ohio and the Greater Cleveland area, including vending machine service. We also provide home sales for new and used gaming and vending machines. We have a wide variety of new and used pool tables, dart machines and video games. Speed and thrills at home! Ohio Vending Machines has provided high quality sales and services to commercial establishments for over 70 years. We understand your professional needs - from providing the latest and highest revenue generating games to backing you with helpful and timely service. Copyright 2006 © Ohio Vending Machines & Entertainment, Inc. All rights reserved.